The two-axle trailer Sd. Ah. 103 was used by the artillery. It was used for mounted towing of horse-drawn guns with a total weight of up to 3,200 kg. The trailer had a dead weight of 1,200 kg. 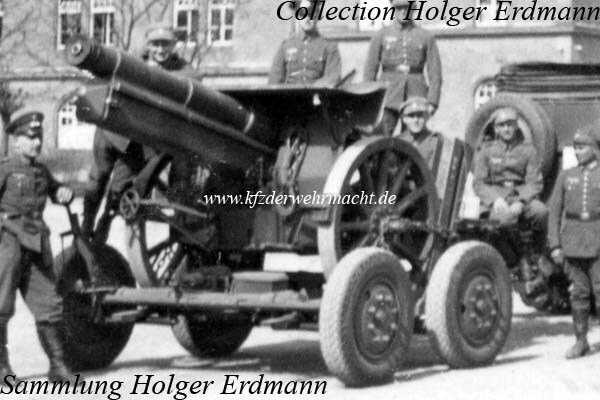 In this case a 15cm s. FH 13 was mounted.